PORT CHESTER—Robison Energy, LLC is relocating its corporate headquarters from Elmsford to the Gateway Plaza office building in Port Chester. 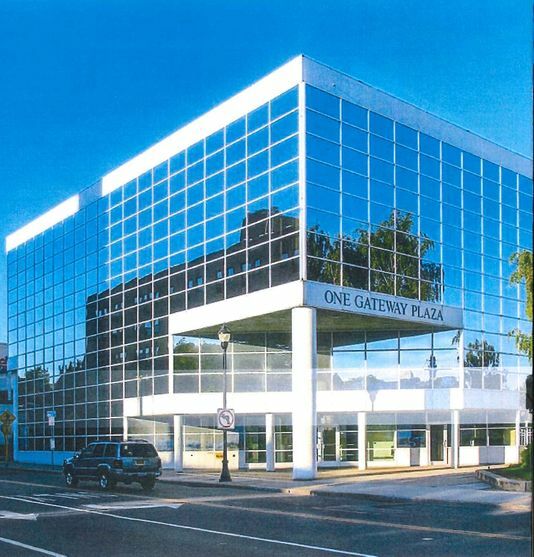 The long-term lease deal for approximately 11,000 square feet of space at Gateway Plaza (55 South Main St.) in Port Chester was announced by Jamie Schwartz, executive vice president of GHP Office Realty, LLC, an affiliate of Houlihan-Parnes Realtors, LLC, which represented Robison in the transaction. The office space will serve as Robison’s new headquarters and is located a block away from the firm’s relocated delivery, service and warehouse space at 45 Ryan Ave. in Port Chester, which is next to the Purdy Avenue oil terminal. Schwartz also represented Robison in that lease transaction as well. Robison will be relocating its headquarters from 15,000 square feet of office and warehouse space at 500 Executive Blvd. in Elmsford located in Mack-Cali’s Cross Westchester Executive Park. That location has served as Robison’s headquarters since 1990. Last year, Robison signed a lease for a 16,400-square-foot industrial building, a 2,750-square-foot warehouse building and a 35,000-square-foot contiguous on-site parking/storage lot located at 45 Ryan Ave. consolidating its delivery, service and warehouse operations from Mount Kisco and Mount Vernon. Portchester Gateway LLC, the ownership entity of DeLaurentis and his partners, purchased the 40,000 square foot building in August 2018 for $4.25 million.